Luxury candy is big business–at least if you're the founders behind Sugarfina, maker of some of our favorite specialist boozy gummies. The swanky sweets company just landed a $35 million investment from private equity firm Great Hill Partners and will be using the funding to scale sales across web, mobile, retail, wholesale and more. The best news? If you live in a part of the world where Sugarfina doesn't yet have a retail presence, well, a boutique could materialize in your neighborhood sooner than you think! The new investment will help the candy company expand into the Middle East, Europe, and Asia (there are currently only Sugarfina stores in the United States and Canada). 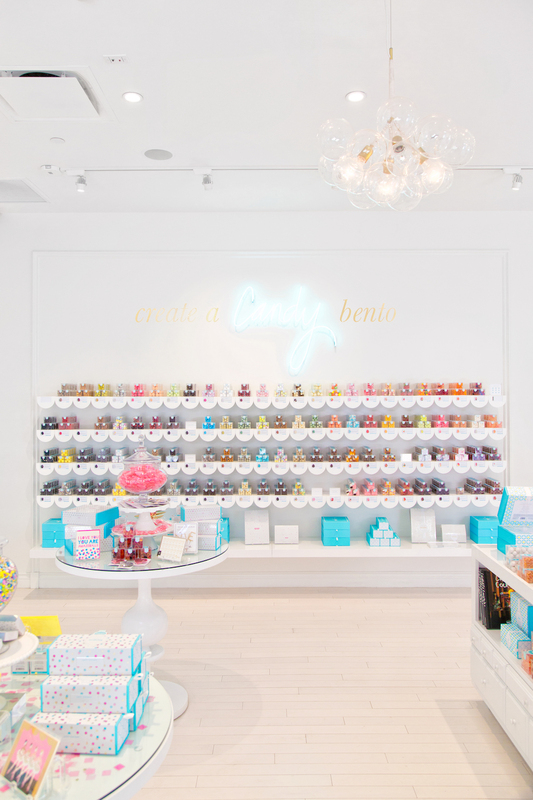 Launched in 2012 by Rosie O'Neill and Josh Resnick—who had "dreamed of opening a luxury candy boutique ever since their third date, a screening of Willy Wonka and the Chocolate Factory"—Sugarfina has grown to 24 boutiques and 14 shop-in-shops over the past five years alone. Last year, the brand posted nearly $25 million in revenue. Yes, you read that right: a five-year-old candy startup sold $25 million of pretty sweets in 2016 alone. "While many established brands are struggling in today's retail environment, Sugarfina is thriving due to their innovative products, distinctive branding, and unique, experiential approach to luxury confections," says Peter Garran, a partner at Great Hill Partners. He also points out that candy is "a huge industry that hasn't seen a lot of innovation." Fair enough—maybe that's why we get so excited when we see quirky iterations on classics. Like rosé-inspired gummy bears which, at their peak, boasted a 18,000-name long waiting list, or when the brand dropped tequila-infused gummy candy right at the beginning of summer (refreshing, lime-y). It also doesn't hurt that the Sugarfina retail experience feels extra-special—Architectural Digest named the brand's Los Angeles flagship store one of the world's most beautiful candy shops—and I know I'm always tempted to stop by and pick up a little something when I'm walking to through the Oculus after work (lured in by all the pastel).